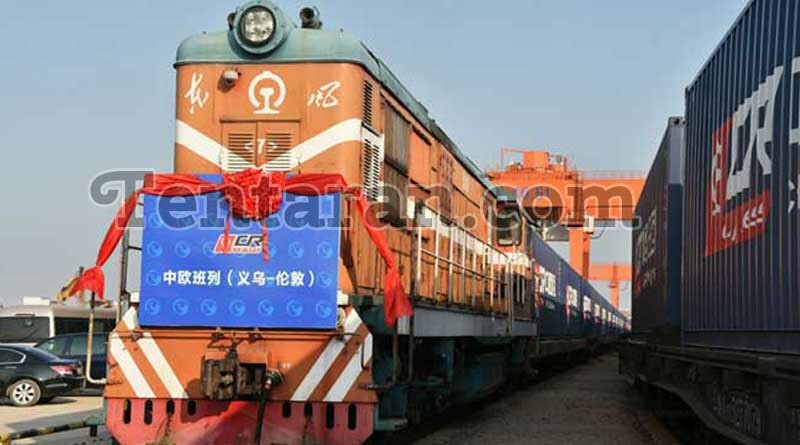 The First UK china train freight service will depart from Essex today, making the 7500-mile journey. The Rail will contain 30 containers of British goods including Soft Drinks, vitamins, Whiskey and pharmaceuticals. The train will travel over 7,500 miles to reach Yiwu, a famed wholesale market town in the eastern province of Zhejiang, 17 days later. The train will be passing through seven countries namely, France, Belgium, Germany, Poland, Belarus, Russia and Kazakhstan and will be arriving in China on April 27th. British Prime Minister Theresa May said that the relationship with China remains “Golden” as she seeks to bring a billion of dollars in Chinese Investment after BREXIT.